The legendary Pacific Coast is home to some of mainland Australia’s most spectacular scenery. From the golden beaches and blue waters of Byron Bay to the rolling hills of the Hinterland, this self-drive allows you to discover the real essence of Australia, witnessing its varied landscapes as you travel between two of the country’s most popular states, New South Wales and Queensland. Starting in Sydney you will explore this renowned harbour city, admiring its iconic sights and reveling in its extensive history before continuing on to the Hunter Valley, Australia’s oldest wine producing region. 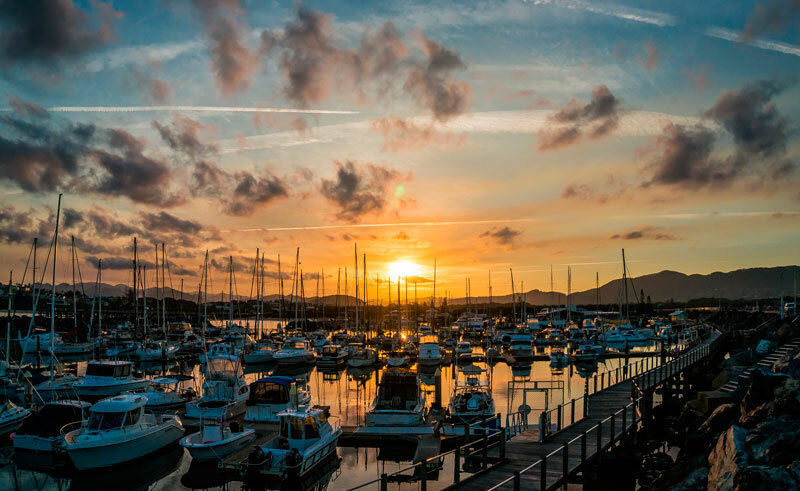 Heading north, you will visit the coastal settlements of Port Stephens and Coffs Harbour before visiting the laid-back town of Byron Bay and finishing your tour in the charming river-side city of Brisbane. On arrival in Sydney, you will be collected from the airport and transferred to your hotel. The rest of the day is at leisure. Today you can explore the many varied delights this cosmopolitan city has to offer. Rise early to enjoy the spectacular harbour setting, home to three of Sydney’s most emblematic sights – the Sydney Harbour Bridge, the Sydney Opera House and the expansive Royal Botanical Gardens. Alternatively, you could enjoy an iconic cruise on Sydney Harbour, allowing you to see the city from a different angle. 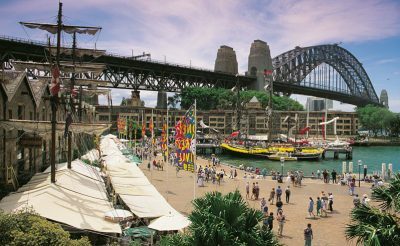 After lunch, spend the afternoon enjoying a guided walking tour of the Rocks district - the site of Australia’s first European settlement. On the tour you will hear fascinating stories of this unique place as you navigate its secret alleyways, quaint courtyards and admire its beautifully restored buildings. 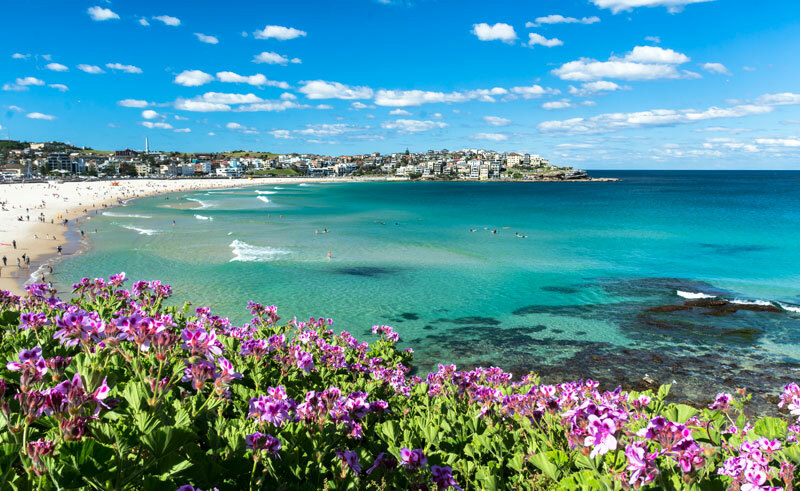 You may like to spend the rest of the day at Sydney’s most famous beach - Bondi or head to the skies and enjoy a twilight helicopter flight, flying high over this mesmerising harbour city. This morning collect your rental car and depart Sydney. Travel across the Harbour Bridge towards the oldest and most renowned wine producing area in Australia - the Hunter Valley. On arrival in the Hunter Valley you may like to drop-off your car at your accommodation before making your way to the nearby award-winning Audrey Wilkinson vineyard, where you will enjoy a picnic lunch amongst the vines. Spend some time exploring the in-house museum before enjoying a master class and tasting from the sommelier. After the tasting you will enjoy a gourmet picnic lunch in a scenic location of your choice amongst the vines, the perfect introduction to this stunning region and its history of winemaking. Spend the rest of the day exploring the Hunter Valley Gardens and the regions boutique shops and quaint galleries or simply enjoy the surroundings at your accommodation, a boutique vineyard estate. 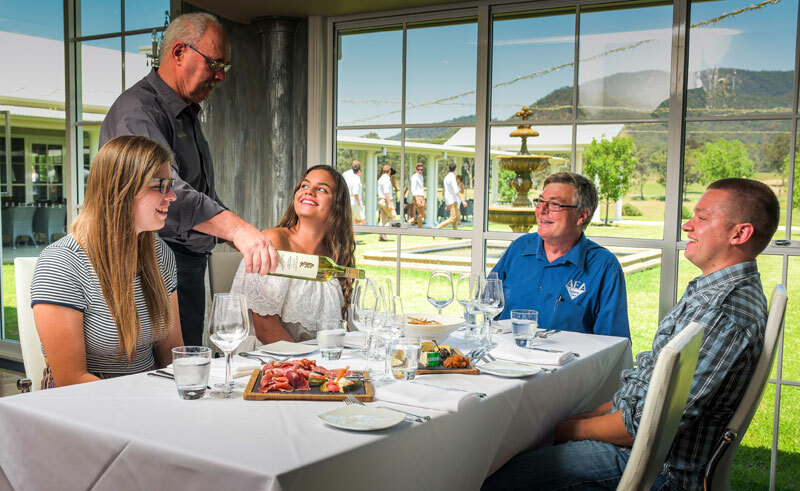 This morning you will spend the day on a small-group guided tour of the Hunter Valley where you will visit the region’s best wineries, sample its artisan produce and see its local wildlife. Guided by an experienced and knowledgeable guide and travelling in luxury mini-van, over the course of the day you will enjoy a VIP tasting at a number of wineries varying in size from boutique producers to large scale manufacturers. Delight in an al-fresco lunch (weather permitting) in a tranquil setting overlooking the vineyard before enjoying a guided walk on the search for local wildlife and kangaroos. Later in the day you will visit a craft brewery for a tasting and tour before ending the day with a delectable chocolate and wine matching experience. This morning, depart Hunter Valley and return to the coast and your next destination of Port Stephens, a coastal settlement overlooking a bay rich in nature and marine life. Home to a marine park over two times the size of Sydney Harbour, wildlife experiences are in abundance here. Between the months of May and November you can enjoy a whale watching cruise to see the migrating humpback whales or year round you can get up close to the resident dolphins either on a cruise or by kayak. Alternatively you can stay on dry land and explore the town’s many art galleries, artisan food shops and abundant eateries. This morning begin your drive north towards Port Macquarie, turning off the Pacific Highway in favour of the scenic leafy roads in Myall Lakes National Park. Pass by spectacular waterways and inland lakes, abundant rainforest and endless golden beaches as you traverse up the coast towards your destination. On arrival check into your accommodation and spend the rest of the day at leisure. Options include spending the afternoon relaxing on one of the town’s spectacular beaches or set yourself a challenge and walk the Port Macquarie coastal walk taking in historic sites such as the Tacking Point Lighthouse, one of Australia’s oldest lighthouses. This evening enjoy dinner overlooking the sea at one of Port Macquarie’s waterside restaurants. This morning you will continue up the coast to Coffs Harbour. On the way stop at Nambucca Heads for some independent exploration. Located on a headland at the mouth of the Nambucca River, this area is renowned for its stunning natural beauty, meandering river and white sand beaches. Enjoy a spot of lunch along the waterfront or visit the creative outdoor gallery and leave a personal message on the famous rocks that line the river. Continue on to Coffs Harbour where the rest of the day is at leisure to explore the many beaches and sheltered coves for which the city is well-known. Today continue towards the unique, bohemian town of Byron Bay. On arrival settle into your accommodation and spend the rest of the day at leisure exploring this new-age town. For sensational views of Byron Bay and the endless coastline walk from the town up towards Cape Byron and its famous lighthouse - the most easterly point of mainland Australia. The rest of the day is at leisure to explore this intriguing town. Today is free to spend as you wish in Byron Bay. Enjoy the many restaurants and bars, the boutique shops and endless beaches or drive out towards the Byron Hinterland, a tranquil area filled with quaint villages, verdant forests and green-rolling hills. Alternatively if you are feeling active take to the waters in a kayak and paddle with some of Byron’s resident dolphins or simply relax and enjoy the mesmerising beaches. Today you will travel up the Gold Coast and into Queensland. On the way north, detour through the Gold Coast Hinterland to Lamington National Park, home to an abundance of subtropical jungle, waterfalls and wildlife. A complete contrast to the uninterrupted beaches of the Gold Coast, here you can opt for a self-guided walk on one of the many walking tracks or alternatively view the rainforest canopy from above on the Tree Top Canopy Walk, famed for offering spectacular views of the native birdlife. 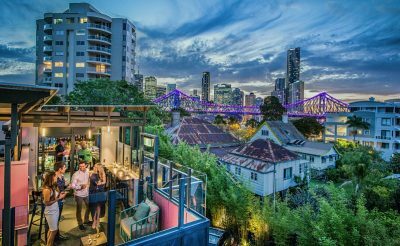 After admiring the wide variety of flora and fauna return to the Pacific Highway and continue up the coast towards Queensland’s capital and your last stop, Brisbane. This morning return your rental car to the depot before continuing with your onward journey. 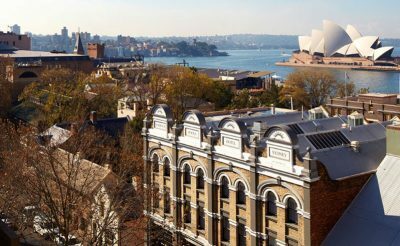 With 59 rooms Harbour Rocks Hotel is a 150 year old heritage building in the heart of Sydney. The oldest part of Sydney's settlement, the Rocks was inhabited by the first fleet of convicts arriving in Sydney Cove in 1788, impacting forever the way of life of the local indigenous people and setting the foundations for what would become an intriguing and cosmopolitan city. 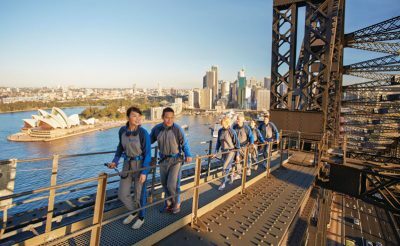 Climb the Sydney Harbour Bridge for spectacular 360 degree views over the Royal Opera House and city beyond on this iconic Sydney experience. 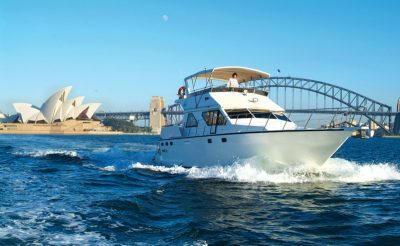 Enjoy a two hour morning tea cruise around Sydney Harbour in the company of a small group on a luxury 52 foot motor yacht. This 22-day active small group experience combines highlights of Australia and New Zealand. Blend wine tasting with wildlife and spectacular views on this small group tour. Discover magnificent World Heritage subtropical rainforests and traverse a landscape as old as the dinosaurs on this mesmerising walk in the Gold Coast Hinterland. 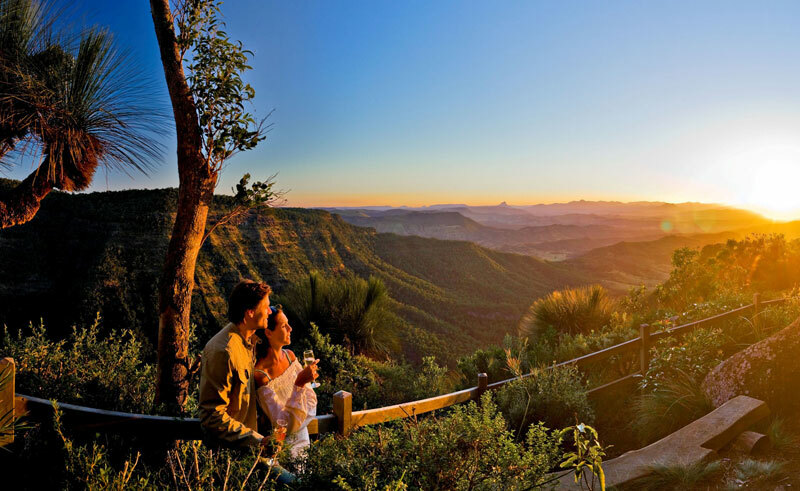 Combine iconic city highlights with a trip to the Blue Mountains. Discover the Great Barrier Reef and other sights on this comprehensive tour.